Your Forest, Your Fault, Your Loss! Shop / Collections / War, Propaganda and Mather Work Incentives / Public Causes / Your Forest, Your Fault, Your Loss! 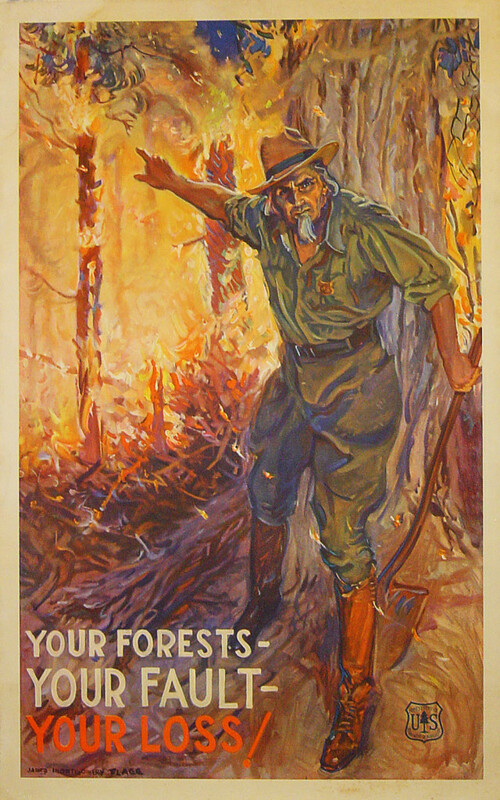 This a very scarce poster for the forest service by James Montgomery Flagg. He uses his famous stern Uncle Sam figure to warn us of the dangers of forest fires.